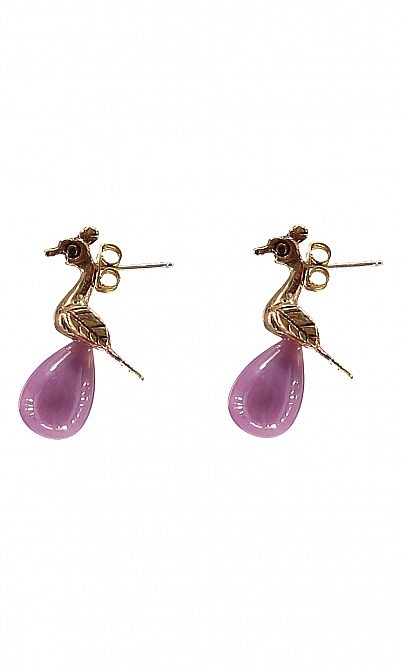 Persian peacock earrings designed for impact with golden foliage and rounded purple droplet. L3cm. Brass with silver posts. For pierced ears. Brass base.